Light up your mash-ups with this amazing electronic Iron Spider figure! He looks just like the web-slinging superhero, and he’s studded with battle gear. He’s got a web blast that lights up and a launching missile for spider-powered strikes! But you can give your hero even more awesome weaponry for the battle against evil. 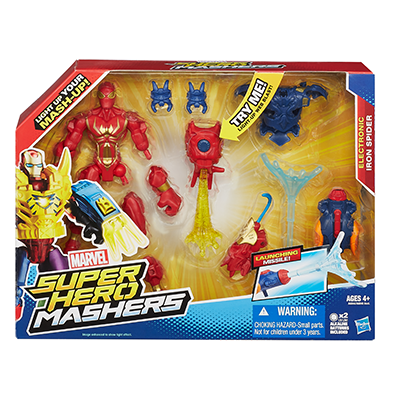 His gear works with other Super Hero Mashers figures (other figures sold separately), and their gear works with him. So you can give him Hulk’s arm or Captain America’s leg and make him the ultimate Avenger! 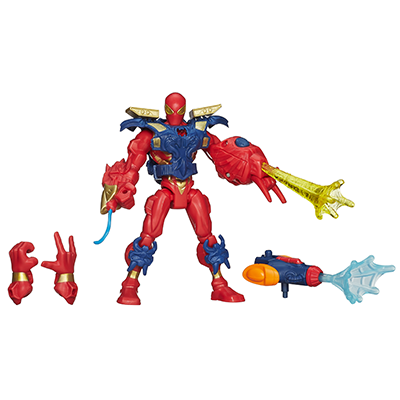 Customize your superhero adventures with your Iron Spider figure!